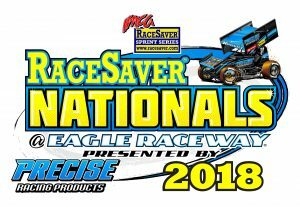 Eagle Raceway offers plenty of camping space for race fans wishing to spend the weekend of RaceSaver Nationals℠ at the facility. Reserved Camping spots with Electrical Hookups are available for $125 which includes the whole weekend stay Thursday-Monday. Electrical Hookups are reserved on a first call first reserve basis and must be reserved by Monday, August 20th 2018. RESERVED CAMPING SPOTS WITH ELECTRICITY ARE SOLD OUT AS OF 08-21-18. Otherwise camping WITHOUT electrical hookups is always free in specified areas. 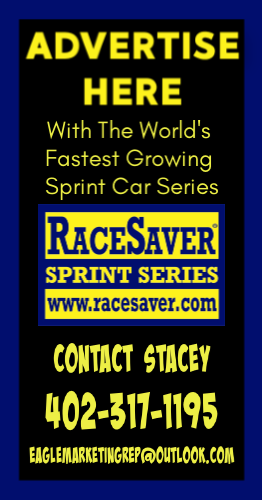 Shower rooms will be available in the Pit Garage FREE of Charge Thursday-Sunday from 9AM-3PM. Breakfast is served from 9:30AM-11AM Friday-Sunday in the Pit Concession.